The head of the Russian Orthodox Church has rejected allegations of a possible official union between his institution and the state, adding that only an independent Church can preach successfully. “The Church is protecting its own freedom because it is sure that only its independence gives her an opportunity to be a fully-fledged spiritual authority. Any form of merger between the state and the Church is dangerous for God’s cause. 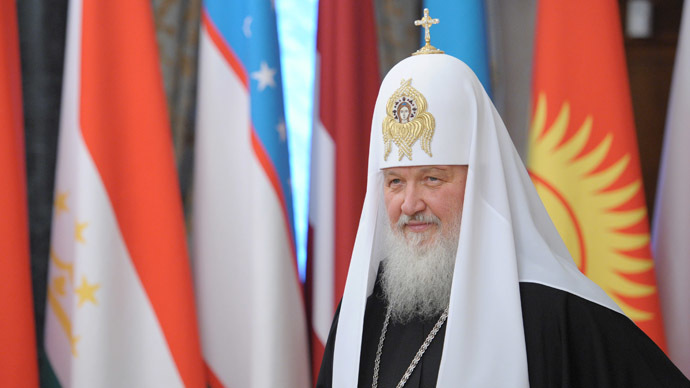 A sermon sounds loud and convincing only when it is delivered by a free church,” Patriarch Kirill said in an interview with the Smolenskiye Novosti newspaper. The patriarch reminded that the internal regulations of the Russian Orthodox Church strictly forbid the clergy from assuming any powers among secular authorities. The state, in turn, has no direct leverage to influence the church’s policies, he added. Russia’s top cleric noted that the repressions against the Church that took place in Soviet Russia in the first half of the 20th century were largely a result of “the enslavement of the church by the state,” possibly hinting at the exclusive part the Russian Orthodox Church played during in the Russian Empire. On the other hand, he said that the country was still experiencing the consequences of adopting atheism as its official ideology in Soviet times. “To cure the spiritual wound inflicted by the godlessness we all must help the people to walk the path of the spiritual revival. I believe that the Lord is with us on this way,” Patriarch Kirill told the newspaper. Less than a week before the interview senior Russian MP Elena Mizulina suggested including a preamble on the exclusive role of the Russian Orthodox Church in the Constitution. The move gained support from MPs representing major parliamentary caucuses, including parliamentary majority party United Russia and the Communists. The public discussions about the strengthening ties between the Church and the state in Russia have become especially vocal after the introduction of the law on the protection of believers’ feelings. The law, signed into force in July this year, makes deliberate and public insults aimed at religious sentiments, as well as the desecration of holy sites, a criminal offence punishable by up to three years in prison. The arguments soon drew attention to numerous scandals involving Russian clergy whom the mass media accused of living a life full of excesses and using the officials’ protection in various problems. The Patriarch called all such reports “a concentrated attack against the Church” in a public speech, but did not directly name those who were behind it.